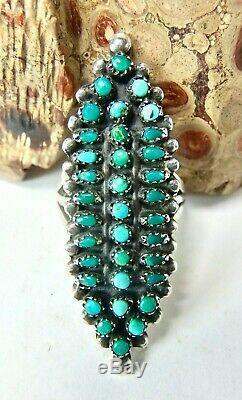 Here is a 1930s Fred Harvey Era Native American Masterpiece Zuni Petite Point Snake Eye Silver Cluster Ring Size 7. The ring measures 1 7/8" long 5/8" wide and weighs 6.9 grams. 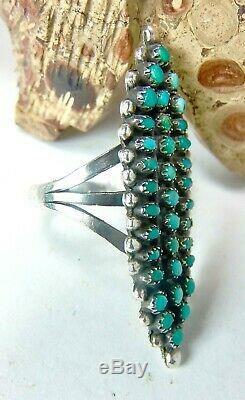 This ring is in beautiful condition. Please see all 12 photos. The photos serve as the description details. Each stone is wonderfully carved. There is a makers mark that looks like JAZ. Free First Class US Mailing. 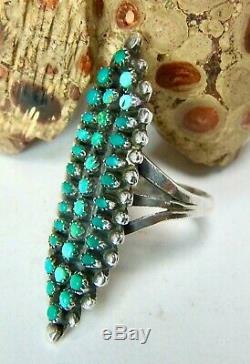 The item "Fred Harvey Era Native American Zuni Petite Point Snake Eye Silver Cluster Ring7" is in sale since Sunday, February 10, 2019. This item is in the category "Jewelry & Watches\Vintage & Antique Jewelry\Vintage Ethnic/Regional/Tribal\Native American (pre-1935)". 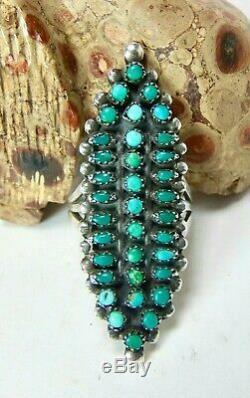 The seller is "bud52" and is located in Spokane, Washington. This item can be shipped to United States, Canada, United Kingdom, Denmark, Romania, Slovakia, Bulgaria, Czech republic, Finland, Hungary, Latvia, Lithuania, Malta, Estonia, Australia, Greece, Portugal, Cyprus, Slovenia, Japan, China, Sweden, South Korea, Indonesia, Taiwan, South africa, Thailand, Belgium, France, Hong Kong, Ireland, Netherlands, Poland, Spain, Italy, Germany, Austria, Bahamas, Israel, Mexico, New Zealand, Philippines, Singapore, Norway, Saudi arabia, United arab emirates, Qatar, Kuwait, Bahrain, Croatia, Malaysia, Brazil, Chile, Colombia, Costa rica, Viet nam, Uruguay.